A cancellation fee will apply at the rate of 50% of the Full Day Rate if the shoot is cancelled within 48 hours of the pre-agreed call time. A cancellation fee of 100% of the Full Day Rate will apply if the shoot is cancelled within a 24 hour period from the agreed upon call time. These cancellation times are to be measured by standard business days. A kit rental fee will still apply for all cancellations. "Force Majeur" means superior force. Such forces could include fire, earth quakes, labor strikes, war, civil unrest, tsunamis, or hurricanes. Force Majeur Cancellations DO NOT apply to rain, potential rain, fog, heat, or other usual weather occurrences. Due to a Force Majeur, either party may cancel a shoot with out cancellation fee or without standard notice without threat of legal ramifications. However, reimbursement of any production rental equipment, travel expenses already made, etc., will still be owed by production company even in case of Force Majeur cancellation. 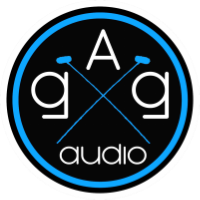 The Full Date Rate will always be implemented during a shoot when GAGaudio is on an out-of town shoot requiring an overnight stay. This rate will apply whether the shoot takes 1 hour or 9 hours. The full day rate will also apply on any day when a shoot was planned, but then is cancelled for any reason once GAGaudio has arrived at travel destination and is prepared to work. If advance of shoot travel days are required that do not include production work of any kind on such day, but include travel only, a “travel day” rate will apply which is typically a one-half day rate if travel time is less than 5 hours. For travel time of more than 5 hours requiring an overnight stay, a full day rate will then apply unless otherwise negotiated in writing in advance of shoot. When out-of –town, Standard Production Workday rate ends when contractor has completed all work per day required for shoot, including packing/storing or transporting equipment portal-to-portal. If you are a new client, I will need proof of production insurance.